At a recent back-to-school rally, Dallas Independent School District teachers and staff were pumped about the new year. But how does Dallas stack up against Houston ISD? When it comes to Texas rivalries, few match Dallas versus Houston. And that extends to the school systems. Dallas churns through superintendents. It’s had eight over the last 20 years. They last longer in Houston. There have been four in the last two decades. To get a handle on how Texas’s two biggest districts measure up, we turn to a pair of public radio education reporters: Stella Chavez from KERA and Laura Isensee from Houston Public Media. It might help to look at this like a boxing match, a match between two public-school heavyweights. Houston Independent School District is the largest in the state and has more than 200,000 students. And Dallas has about 160,000. Its student body is poorer, more Latino and a little less white. That’s partly because some of the richest, whitest neighborhoods are in a separate district, Highland Park, while in Houston, the kids from the tony neighborhood of River Oaks are zoned to city schools. To get a sense of how these districts match up, here’s a three-round bout focused on academics, construction and innovation. Interim Superintendent Michael Hinojosa came to Dallas ISD after Mike Miles's departure. This is his second time leading the district. First, let’s introduce the current superintendents. In this corner, Dallas’ Michael Hinojosa. He just stepped in as interim superintendent. “I’ll be here for 10 days, 10 weeks, 10 months, 10 years, however long you need me to get this district going. And so they asked me to come in and step in,” he told a crowd at a back-to-school rally. In the other corner, three-and-a-half hours south on Interstate 45, Terry Grier is starting his seventh year running Houston schools. He made a surprise visit on the first day of class to a new, one-of-a-kind dual language Arabic school. “It’s so exciting every time I come my first day of school here in Houston, I just don’t think I can get more excited and then we have another one,” he said. 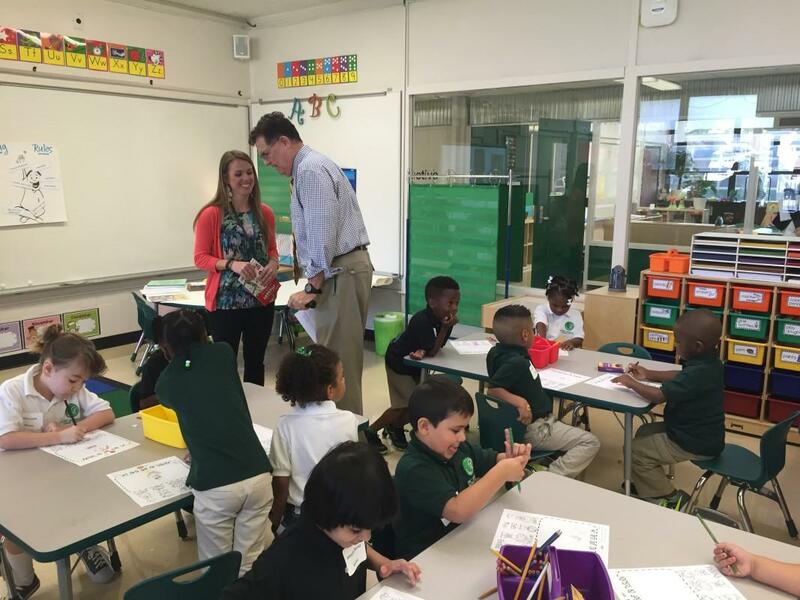 Houston ISD Superintendent Terry Grier visits a kindergarten class on the first day of school. Now for round one, Houston vs Dallas: academics. A superintendent has one job above all others: make sure students are learning. Take the latest state rankings. In Dallas, 84 percent of schools met the academic standards. And Houston didn’t do quite as well. Seventy nine percent of Houston schools met standard. But, when according to the state measures for how much progress students are making, Houston has the edge. But Dallas is ahead in graduation rates – 86 percent. That’s 7 points better than Houston. Of course, it depends on the statistics, and there are lots of those in education. To settle the question, here’s a referee: Bob Sanborn, president and CEO of Children at Risk, a Texas-based research and advocacy group around children. “Now, historically Dallas has lagged behind Houston. The good news in all of this right that Dallas is rising to around where Houston is,” Sanborn said. In the latest Children at Risk ratings, Houston got a C, and Dallas got a D.
“These are big urban districts so for them to get a C is spectacular, right? Because if we were to do this measure with big, urban districts all over the country, you’d see a lot of D’s and F’s,” he said. So, why is Houston getting higher marks? “Because when we look at high-performing, high-poverty schools, Houston has done historically very well. Now Dallas is doing a lot better than ever on that, but they’re really not at the level that they need to be at really in both districts,” Sanborn said. When you take all of these things into account, how different is it to be superintendent in Dallas versus Houston? “It all comes down to school boards and their tolerance for change. And the tolerance for change is seemingly a little less in Dallas, but the real need is for a lot of change in both districts,” he said. In this first round, academics, the numbers conflict a bit. It sounds like a draw. 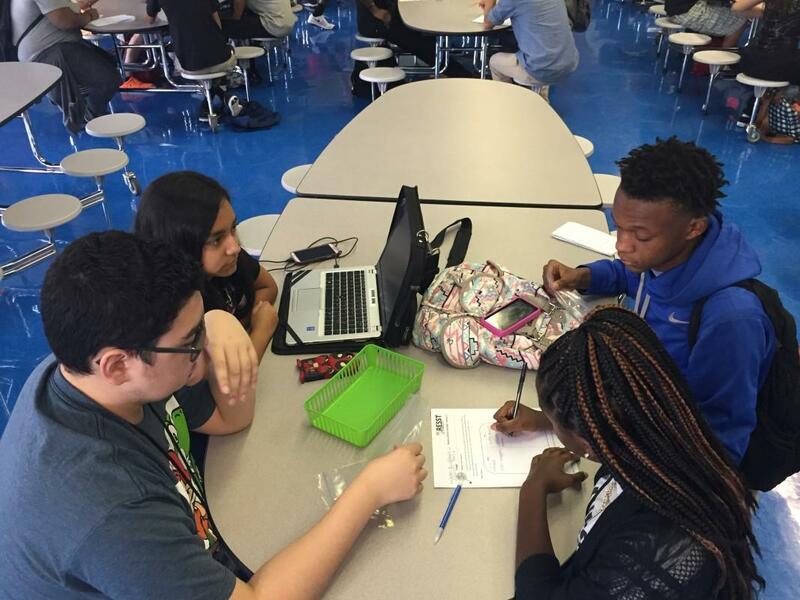 In Houston, Energy Institute High School tenth graders work on a chemistry project together. Next up, round two: construction. Maintaining buildings and keeping up with technology is another major priority for a school district. It also reflects how well a superintendent performs as an administrator. In Dallas this fall, the school board is asking voters to approve its biggest bond package ever: $1.6 billion. It would pay for nine new schools, more classrooms, more space for pre-K, new technology and science labs. Christopher Enriquez graduated from Skyline High in Dallas. He now leads the local chapter of LULAC, a Latino advocacy group. He’s worried about a technology gap in Dallas. 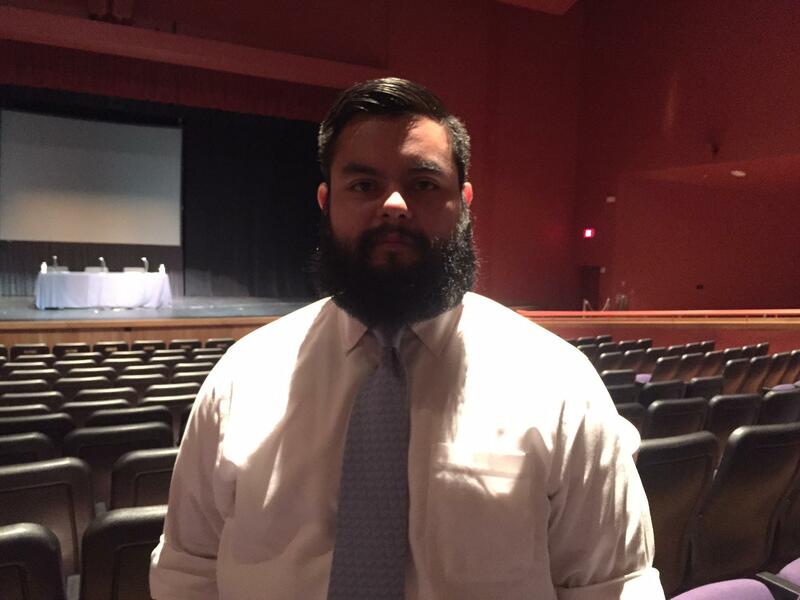 Christopher Enriquez graduated from Dallas ISD and now does advocacy work. He wants to see the district beef up technology. “I think our district has fallen in that area. You go to other districts and they have all these amazing things. We’re not preparing our kids adequately if we don’t give them the tools that they need,” Enriquez said. Dallas hasn’t had a major building program since 2008. The district’s needs have only grown from adding cutting-edge technology to basic classroom space. One campus has as many as 20 portable buildings. That bond proposal is similar to what Houston voters approved a few years ago: Nearly $2 billion to repair and rebuild 40 different schools, the largest school building program in Texas history. Some of the results are starting to show. For example, at the future campus for the Mandarin Chinese Language Immersion Magnet School near the Houston Galleria, workers recently welded the steel structure together. “The ultimate goal is to provide 21st century learning in all of these new schools, that means flexible spaces, collaborative learning environments, upgraded technology,” said Derrick Sanders, the general manager of construction. Sanders said that Houston is on track to finish the projects by 2020. So based on the numbers and the timing of construction, Houston takes this one. 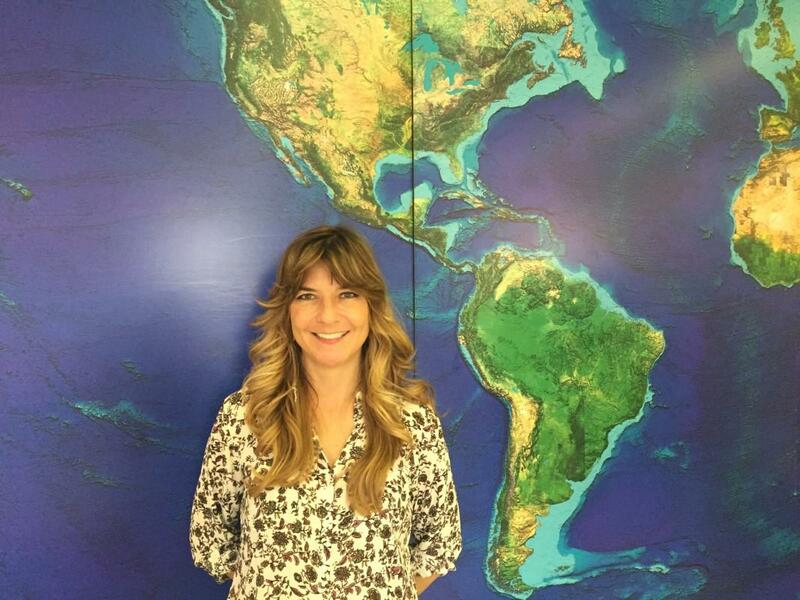 Lori Lambropoulos is the principal at the Energy Institute High School in Houston. Now to the third and final round: innovation. This is how superintendents really set themselves apart. Dallas is in the middle of expanding pre-K and its school choice program. That means more schools focused on specific topics. 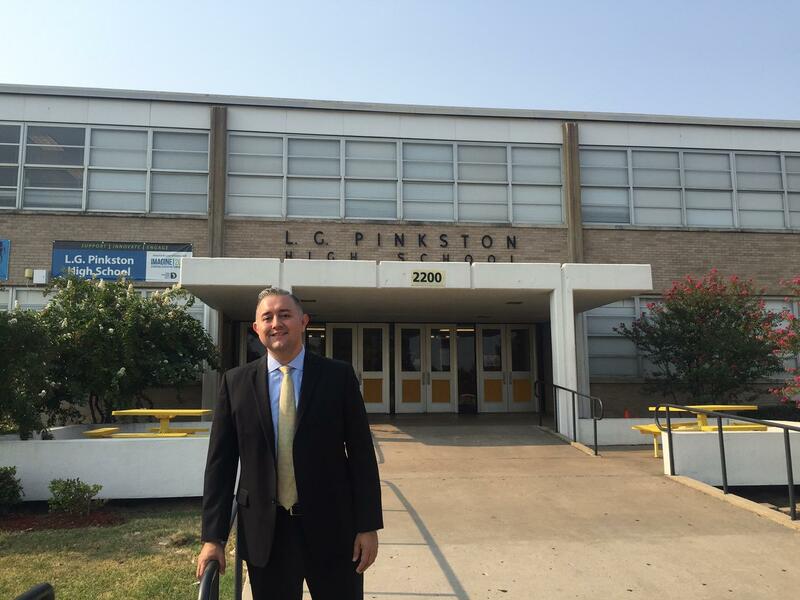 Dwain Simmons is principal of Pinkston High School where plans call for a new career and tech campus. “It’s about options. They can make viable living for themselves and be productive members of society with career certificates that don’t necessarily require four years of college or postgraduate studies. When we provide kids with options, it will dramatically reduce the dropout rate in my opinion,” Simmons said. Dallas’ last superintendent Mike Miles was all about innovation. And in some ways, that’s what doomed him. Teachers, for instance, rebelled against a new evaluation system. In Houston Grier made a lot of enemies with his teacher evaluation system. It includes student test scores and it’s being challenged in federal court. Other reforms to turn-around struggling schools have also been criticized for lacking long-term results. Still, he doesn’t let up. “I think we’re the most innovative creative school district in American bar none – public school, private school. I think that no one even comes close to a close second,” Grier said. In fact, Grier’s almost doubled the number of dual language programs to 52 – more than Dallas, San Antonio, Austin and El Paso combined. And this year every high school student is getting a laptop with HISD’s PowerUp program. This focus on innovation is clear at the Energy Institute High School. Principal Lori Lambropoulos is aiming to change the equation with something called project-based learning. Students are constantly collaborating, working on teams. “Our goal here is to produce super kids. At the end of the day, I kind of think of them like superheroes. They are going to be different than the average kid,” she said. On this final round, it looks like Houston comes out ahead on innovation. But, there’s a lot of promise in these initiatives Dallas is trying. Isaac Faz is a Dallas ISD alum and co-chairs the Future Facilities Task Force, which put together the $1.6 billion bond program. Under the proposed plan, Pinkston High School would get a career and tech campus. Let’s review the first two rounds: Academics. That was a draw. And construction? A lead for Houston, but Dallas could catch up. What’s funny is that even with all the turnover in Dallas and relative stability in Houston, there’s not that big a difference. That would support the findings of a Brookings Institution study last fall. It found that student achievement doesn’t improve with superintendent longevity. That sounds like it could set off a whole another round. How about putting down the gloves for now? This story comes out of the Texas Station Collaborative, a new joint project of KERA in North Texas, Houston Public Media, KUT in Austin and Texas Public Radio in San Antonio. Fort Worth recently tapped Kent Paredes Scribner – who comes from Phoenix – to lead the district after a 21-day waiting period. He spent Monday, the first day of school, meeting with students and teachers. And last week, he sat down with KERA. Fort Worth's new superintendent Kent Scribner spent the first day of school meeting with students and teachers. In his last job in Phoenix, Scribner oversaw 16 high schools and more than 27,000 students. The Fort Worth school district is about three times that size. Superintendent Churn Hits Districts Across Texas - And The U.S.
KERA is examining why superintendents of large urban school districts don’t last long, and why some of the country’s biggest cities are looking for top school leaders. Districts from Chicago to Los Angeles, Minneapolis to Kansas City, are seeking superintendents. As Dallas continues the search for its next school superintendent, some non-profits and outside organizations are watching closely. These groups work to bridge educational, economic and social gaps in the district.